Stop the car at your retirement dream home! 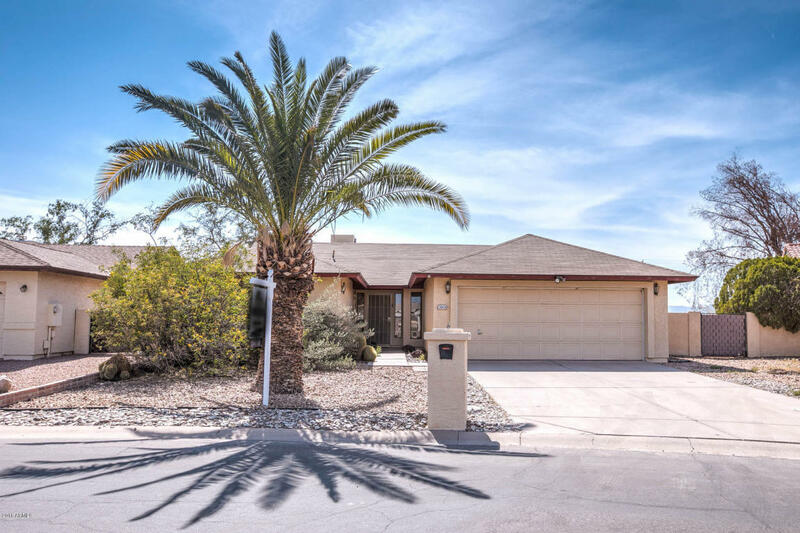 Step inside this Active Adult Sun Lakes community home and immediately relax in your living room with gorgeous views of the mountains. Laminate wood floors greet you at the door and lead you into the hallway where you have two large Master Suites. Your quaint kitchen features a plethora of cabinets and a breakfast bar counter top. Built in office desk and a formal dining area are just some of the extra amenities that await you. Peek outside at your oversized back yard that boasts ease of maintenance with amazing sunset views. Don't miss this one, it won't last long!